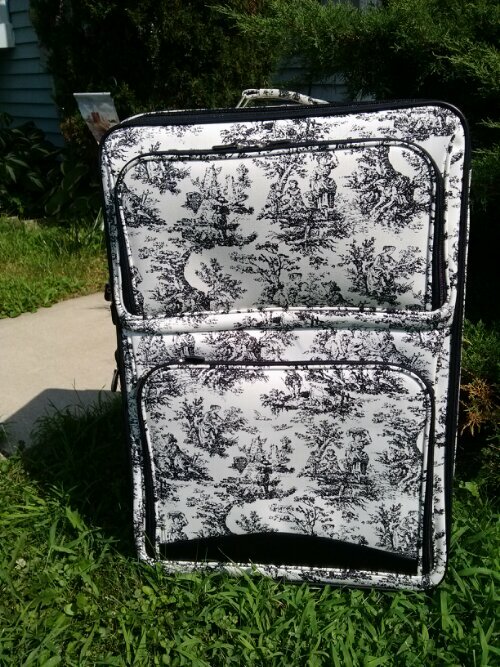 I found this large rolling luggage at Blair’s Jewelry and Gifts California, Md. . This store is truly amazing. Gifts of everykind, including fine jewelry. They will monogram almost anything, metal, glass and fabric. 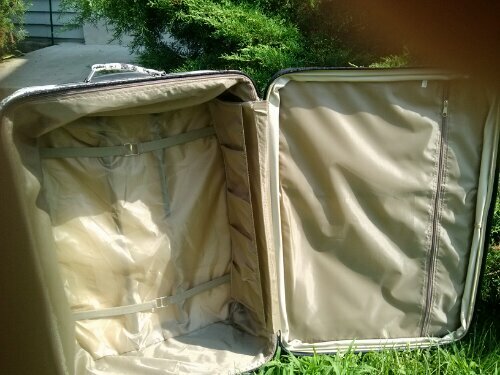 I bought the suitcase several years ago, so I do not know if they still carry it. Inside has a large zippered part on lid and two elastic straps to hold everything in.